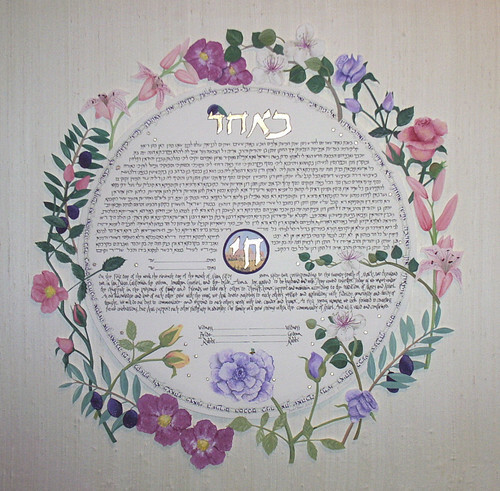 Commissioning your original custom ketubah is a simple, clear and delightful part of your preparations for your wedding and new home. 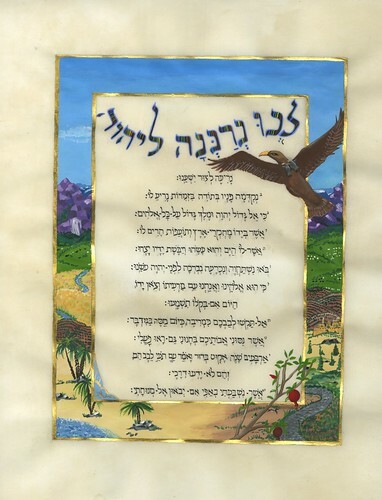 The ketubah we design together will take its place in your home as a genuine heirloom, presenting your values and personalities to all who enter your home forever, delighting the eye with vibrant color and luscious materials. When you first contact me, I’ll be happy to answer any questions you might have about the process, and we’ll schedule some time when the two of you can spend a couple of hours together on the telephone, or in my studio if you are near the Washington, DC area. 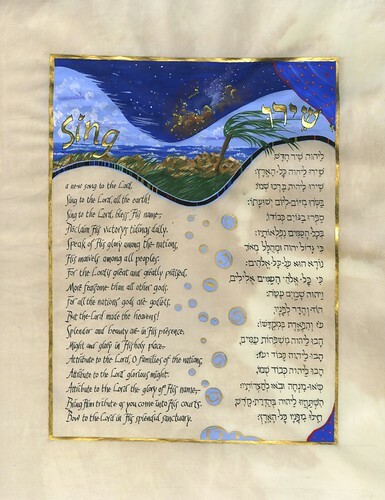 working with me to create your original ketubah, yet, more than one of the ketubot you see in my gallery were accomplished in far less time! Please see the FAQ section for information about pricing. The Initial Meeting. We’ll spend a couple of hours discussing not just ketubot and weddings, but your lives and dreams, your families and careers, your relationship and wedding plans. I’ll also ask you about what interests you in my artwork…and at the end of this discussion, about your budget for your ketubah. The Sketch. In the days following our initial conversation, I will develop a sketch or two for your ketubah, melding together the ideas expressed in our discussion. I will e-mail or fax you the sketch, accompanied by a letter than spells out each detail and its symbolism in your lives. Again, if you are near the Washington DC area we may meet at my studio. Discussing the Sketch. Shortly after you receive the sketch and its explanatory letter, we’ll schedule some time to discuss it thoroughly. We’ll discuss every detail of the drawing, and make any necessary adjustments to make certain that the artwork will express your lives and give you a lifetime of visual joy. Once we have agreed upon the design, we will sign my short, clear commission contract and I will ask you for a deposit of 50% of the price. The balance will be due upon completion of the ketubah. And then I go to work! Creating Your Heirloom Ketubah. 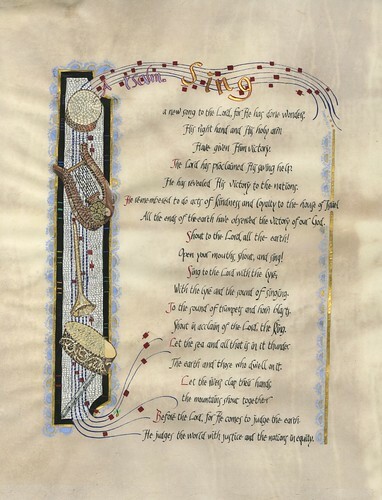 In the weeks or months following, I will create your ketubah. I will send your rabbi a draft of the text to approve prior to setting to work. I construct ketubot to last for generations (if properly framed) and each employs only the highest quality, acid-free papers and other materials, and most light-fast inks and paints. 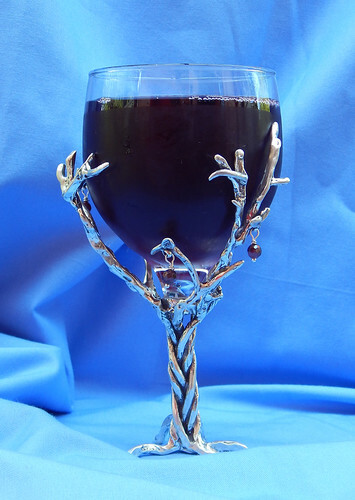 The gold will be 24KT leaf, if you prefer silver, I incorporate precious palladium leaf (which doesn’t tarnish like silver). I will enclose your ketubah in a specially-made display envelope with a solid-color matte-board backing and a clear acetate cover. The display envelope seals with a Velcro-dot at the back, for easy access for signing. 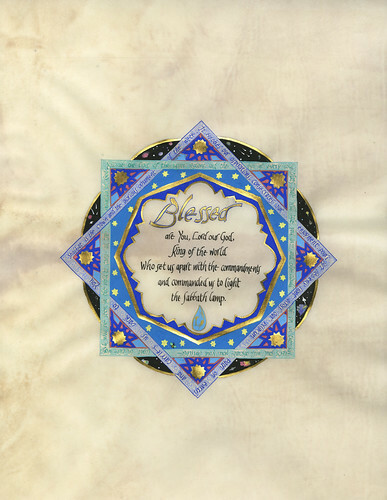 Your ketubah should be brought to the chuppah in this envelope, and stored in it at all times until it is framed. 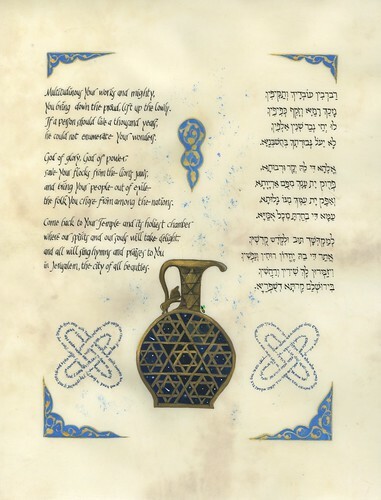 Your ketubah will be accompanied by the pen that should be used for signing, as well as a couple of copies of the description that I will write, explaining all symbolism in the work and providing translations of any Hebrew decorative text within it. Shipping Your Ketubah. 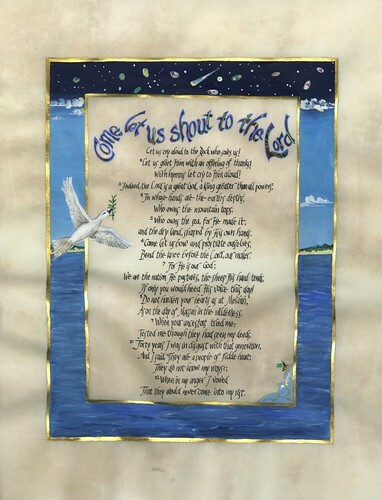 My policy is to have each couple’s lovely ketubah ready for them no later than a month prior to the wedding date. 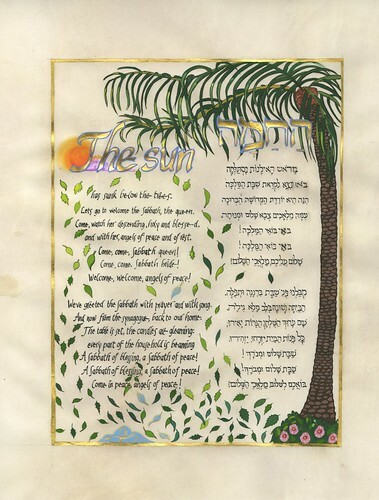 If you live within a reasonable drive of my Washington, DC area studio, you may wish to pick up your ketubah in person; otherwise I ship ketubot all across the world. 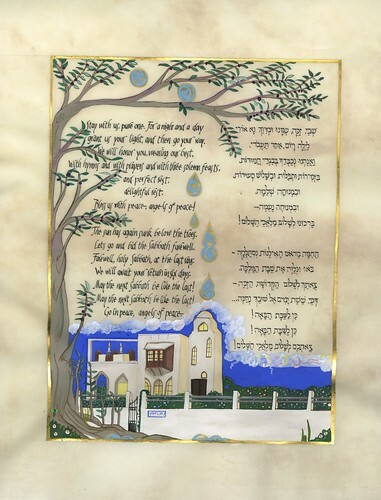 I will ship your ketubah to you professionally packaged and fully insured.